Objective: A series of webinar were conducted for faculty and students at King Khalid University College of Dentistry (KKUCOD) Abha, Saudi Arabia to report on our experiences and responses from the participants. Method: Two coordinators for Webinars were appointed: KKUCOD academic coordinator and KKU Deanship of E-Learning IT coordinator. A wide range of topics of interest for faculty and student alike, were selected by Department of Dental Education KKUCOD. Eminent educators from UNLV School of Dental Medicine USA and UMEA University Sweden were invited for presentations. The participants were informed about Zoom software and a link was sent to all the participants for free online webinar-registration, well in advance. Results: The total registrations received for all webinars were 1334; out of which 923 attended the webinar sessions. Out of the total who attended the webinars, 106 subjects attended more than 10 webinars. Conclusion: Our experience of organizing the Webinars was smooth, flawless, encouraging and fairly attended by faculty members, though with significantly less response from students. Appreciable positive feedback was received from the audience. Online teaching includes real-time (synchronous) and anytime, anywhere (asynchronous) interactions. It is the process of tutoring in an online, virtual or networked environment in which the educators and learners are separated by time and space, but still shoulder to shoulder with each other in close proximity, though unseen physically. Taking due consideration of the above mentioned views, a series of webinar were conducted for faculty and students at King Khalid University College of Dentistry Abha, Saudi Arabia to report on our experiences and responses from the participants. Under the auspices of King Khalid University (KKU) Deanship of E-Learning, King Khalid University College of Dentistry (KKUCOD), a series of fifteen webinars were conducted for faculty and students at King Khalid University College of Dentistry Abha, Saudi Arabia to report on our experiences and responses from the participants. Prior to the conduct of study, ethical approval was obtained from Scientific Research Committee, KKUCOD. Two coordinators for Webinars were appointed: KKUCOD academic coordinator and KKU Deanship of E-Learning IT coordinator. A wide range of topics of interest for faculty and student alike, were selected by Department of Dental Education KKUCOD. Eminent educators from UNLV School of Dental Medicine USA and UMEA University Sweden were contacted and invited for presentations. Topics and schedule was finalized with speakers and made available to faculty members and students after approval from the speakers. The faculty and students were intimated about the topic and a brief background of the speaker through emails. The participants were informed about Zoom software and a link was sent to all the participants for free online webinar-registration, well in advance. An SMS, WhatsApp message and Twitter message was sent to remind the date, time and topic of webinar prior to the presentation. 1. Neuroanatomy (a. Bell’s Palsy, Trigeminal Neuralgia and their effect on the dental patient and treatment ; b. Parkinson’s Disease, Huntington’s disease and their implications for dental patients). 5. Orthodontics (a. Sleep disordered breathing in children; b. Sleep disordered breathing in adults; c. Introduction to clear Orthodontic Aligner therapy). After the completion of last webinar, Google form links was sent to 106 faculty members to obtain their feedback regarding webinars (Annexure 1). In addition to the responses from participants regarding questionnaire, the total number of participants registered for each webinar, attendees for each webinar, maximum and minimum registrations and maximum and minimum attendance were analysed. The total registrations received for all webinars were 1334; out of which 923 attended the webinar sessions. Out of the total who attended the webinars, 106 subjects attended more than 10 webinars. Maximum number (89) of subjects attended the 4th Webinar (Introduction to Occlusion: Concepts of splints) and the least (48) attended the 14th Webinar (Sleep disordered breathing in adults) [Figure 1]. Google Forms link to the questionnaire survey was sent to those (106 participants) who attended more than 10 webinar sessions; out of whom 70 responded to the questionnaire. 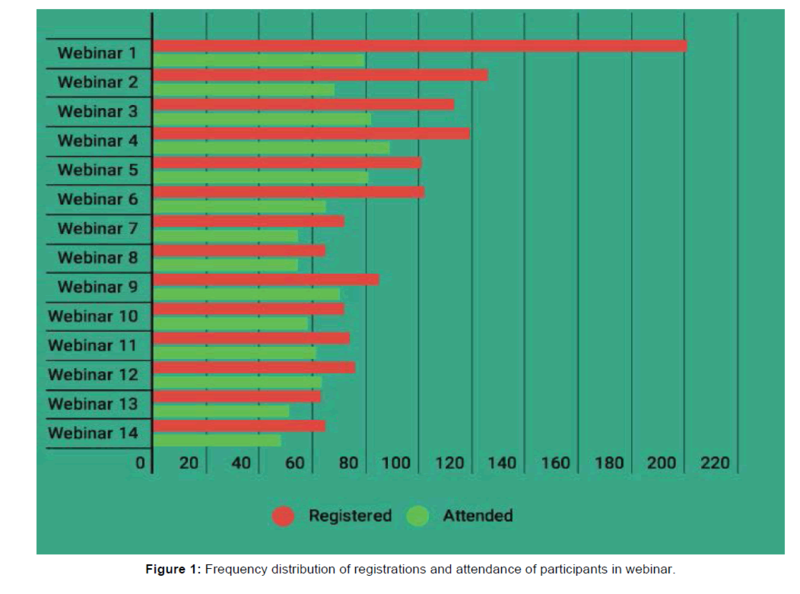 Figure 1: Frequency distribution of registrations and attendance of participants in webinar. 57.1% of participants agreed that the webinars covered topics of interest while 18.6% of participants were neutral in responding for the same [Figure 2]. Majority of respondents agreed that the duration of webinars was sufficient enough for the particular topic coverage. Question and answer session was considered of great value by a major bulk of respondents [Figure 3]. 41.4% strongly agreed that they could join webinar session easily without any technical issues. 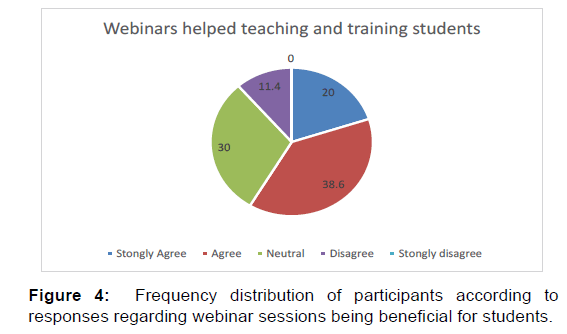 Most of the participants agreed that the webinars proved quite informative to be applied in the teaching process for students and majority were of the opinion of attending future webinars [Figure 4, Figure 5 respectively]. 51.4% agreed to the fact that webinars would promote future collaborative research among scholars from different parts of the world. The overall experience was rated as good by majority (88.6%) of the respondents [Figure 6]. 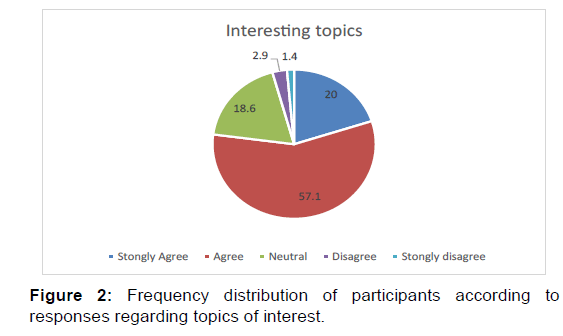 Figure 2: Frequency distribution of participants according to responses regarding topics of interest. Figure 3: Frequency distribution of participants according to responses regarding question and answer session. Figure 4: Frequency distribution of participants according to responses regarding webinar sessions being beneficial for students. 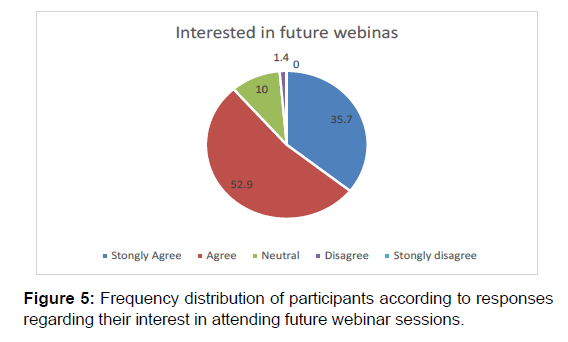 Figure 5: Frequency distribution of participants according to responses regarding their interest in attending future webinar sessions. 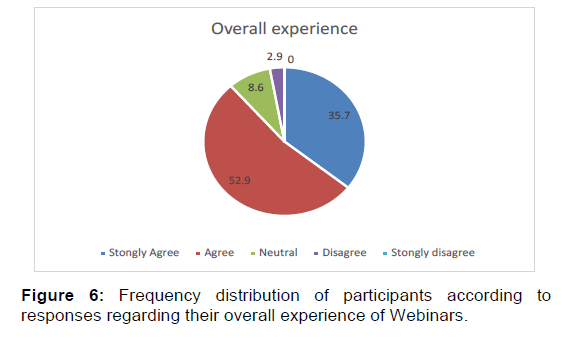 Figure 6: Frequency distribution of participants according to responses regarding their overall experience of Webinars. Millennial students or Generation Y’s, the huge inflow of students born after 1982, is what has drastically changed the present day scenario of studentship, which is well exposed to new technologies and hence genuinely, in terms of rationality and practicability, the use of only the traditional model of teaching through lectures and text is neither acceptable by nor justifiable for them. The scenario has consequently altogether changed the role of Educator from an instructor to a facilitator of learning for developing independent thinking and decision-making skills of students through various ways of present day advanced medium. Approach to teaching thus calls for diversity in given conditions and in synch with their typical and different-thantraditional demand of learning. It has become imperative for the present day faculty member as to be well versed with cell phones, computers and various forms of using internet in their teaching process such as webinars. A good interactive question-answer session was conducted during the webinars of present study especially among the faculty members and the International speakers. Apt coordinator enabled the participants to type their questions to the speakers of webinar, and it was undoubtedly considered the most convenient and interesting part of the session. Though the present webinar was made available to both the students and the faculty members of College of Dentistry King Khalid University, a low attendance from students, notwithstanding the fact that majority of them had registered for the same, was observed with a sorry note. The reason might be their lack of unawareness regarding the importance of webinars, their first experience for the same, the unsuitability of time for them to attend the webinars or the topics might not have been in consonance with their interest. It is well mentioned in previous study  wherein low attendance of participants was observed that conducting Pre-Webnar Session was an essentially required activity to be attempted such that: a). social sites such as Facebook, What’sApp etc to be utilized as a tool for raising questions from the interested participants, using multiple-window system for interaction in advance and even through the webnar session; b). topics as per choices of the intending participants can be known beforehand, through these media, for inclusion in the webnar session, and c). time suitable for the prospective participants before webnar is conducted, can also be known through these tools, and availed accordingly. The result of the present study is a clear testimony to the fact that the faculty members regarded the overall experience of the webinar as direly needed and sufficiently beneficial and showed interest for participation in future too. This depicts that faculty members are aware about the need for faculty development with respect to new vistas of teaching and learning process. Web-based learning is a collaborative process in true sense of words and it is the medium wherein knowledge is negotiated and shared within motivational and interactive context, as rightly stated by Stahl and Hesse. It is a multifaceted process which involves arguing, listening, critically evaluating and presenting the views and opinions among the participants. Our experience of organizing the Webinars was smooth, flawless, encouraging and fairly attended by faculty members, though with significantly less response from students. We received positive feedback from the audience and the webinars were undoubtedly economical in comparison to the “guest lectures.” Flexibility in time, location and access of learning especially for disabled persons, educator’s improved digital literacy and diverse and enriching experience cannot be ignored as far as advantages of webinars are concerned. • To make “webinars” a regular feature. • To include webinar topics for student assessment. • To collect student feedback at the end of the webinars. The author extends gratitude to King Khalid University & the International Speakers for making the webinar a success. The author discloses that there is no conflict of interest. Chen TH, Buenconsejo-Lum LE, Braun KL, Higa C, Maskarinec GG. A pilot evaluation of distance education modalities for health workers in the U.S.- Affiliated Pacific Islands. Pac Health Dialog 2007;14:22-30. Gerkin KL, Taylor TH, Weatherby FM. The perception of learning and satisfaction of nurses in the online environment. J Nurses Staff Dev 2009;25:E8-E13. Borgerson D, Dino J. The feasibility, perceived satisfaction, and value of using synchronous webinars to educate clinical research professionals on reporting adverse events in clinical trials: a report from the Children's Oncology Group. J Pediatr Oncol Nurs 2012;29:316-322. O'Connor ME, Brown EW, Lewin LO. An Internet-based education program improves breastfeeding knowledge of maternal-child healthcare providers. Breastfeed Med 2011;6:421-427. Williams RL, McPherson L, Kong A, Skipper B, Weller N, PRIME Net clinician. Internetbased training in a practice-based research network consortium: a report from the Primary Care Multiethnic Network (PRIME Net). J Am Board Fam Med 2009;22:446-452. Schleyer TK, Thyvalikakath TP, Spallek H, Dziabiak MP, Johnson LA. From information technology to informatics: the information revolution in dental education. J Dent Educ 2012;76:142e153. Behar-Horenstein LS, Schneider-Mitchell G, Graff R. Faculty perceptions of a professional development seminar. J Dent Educ 2008;72:472-483. Al-Jandan BA, Farooq I, Khan SQ. Students' perspectives on the relevance of internet-based educational videos in dental education. 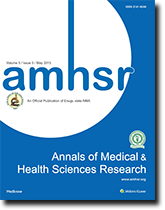 Journal of Taibah University Medical Sciences 2015;10:288-292. Peluso MJ, Hafler JP. Medical students as medical educators: opportunities for skill development in the absence of formal training programs. Yale J Biol Med 2011;84:203e209. O’Neill PN, Taylor CD. Responding to the need for fac¬ulty development: a survey of U.S. and Canadian dental schools. J Dent Educ 2001;65:768-776. Friedman PK, Arena C, Atchison K, Beemsterboer PL, Farsai P, Giusti JB, et al. Report of the ADEA President’s Commission on Mentoring. J Dent Educ 2004;68:390-396. RM Harden, Hart IR. An international virtual medical school (IVIMEDS): the future for medical education? Med Teach 2002;24:261-267. Jasinevicius TR, Landers M, Nelson S, Urbankova A. An evaluation of two dental simulation systems: virtual reality versus contemporary non-computer-assisted. J Dent Educ 2004;68:1151-1162. Weninger L, Keller F, Fegert JM, Libal G. Docs'n Drugs--An E-learning program for medical students; feasibility and evaluation of the acceptance in student training in child and adolescent psychiatry at the University Hospital in Ulm. Z Kinder Jugendpsychiatr Psychother 2009;37:123-138. Campbell M, Gibson W, Hall A, Richards D, Callery P. Online vs. face-to-face discussion in a web-based research methods course for postgraduate nursing students: A quasi-experimental study. Int J Nurs Stud 2008;45:750-759. University Of Massachusetts (Amherst Campus). (n.d.). Teaching and learning online: communication, community, and assessment: a handbook for UMass faculty. Amherst, Mass, University of Massachusetts. Monaco M, Martin M. The millennial student: A new generation of learners. Athletic Training Education Journal;2007;2:42-46. Starlink. (Firm). Educating the NetGen: Strategies that work, publisher not identified, 2004. Shiang-Kwei W, Hui-Yin H. Use of the Webinar Tool (Elluminate) to Support Training: The Effects of Webinar-Learning Implementation from Student-Trainers’ Perspective. Journal of Interactive Online Learning 2008;7:175-194. Stein GH, Shibata A, Bautista MK. Webinar: An Initial Experience with Web-based Real Time Interactive Clinical Seminars for Japanese Medical Students. Journal of General and Family Medicine 2010;11:87-90. HOTCOMM. Synchronous tools and the emerging online learning model. 2003. http://hotcomm.com/tec/dlwp.pdf. (accessed 18 April 2004). Cook DA, Garside S, Levinson AJ, Dupras DM, Montori VM. What do we mean by webbased learning? A systematic review of the variability of interventions. Med Educ 2010;44:765-774. Creelman A, Arnason H, Rothler D. Webinars as active learning arenas. European Journal of Open, Distance and E-Learning. 2017. Wong G, Greenhalgh T, Pawson R. Internet-based medical education: a realist review of what works, for whom and in what circumstances. BMC Med Educ 2010;10:12. Cook DA, Levinson AJ, Garside S, Dupras DM, Erwin PJ, Montori VM. Instructional design variations in internet-based learning for health professions education: a systematic review and meta-analysis. Acad Med 2010;85:909-922. Link TM, Marz R. Computer literacy and attitudes towards e-learning among first year medical students. BMC Med Educ 2006;6:34. Stahl G, Hesse F. Welcome to the future. International Journal of Computer-Supported Collaborative Learning 2007;2:1-5.